The four-story church building located at 9025 W. Cynthia Street is a carefully proportioned structure in the Mediterranean Colonial architectural style. Built by members of the Dutch Reform Church in the 1920’s, the First Baptist is the only remaining church from the Town of Sherman. The building is a landmark in its position at the head of the Norma Triangle. 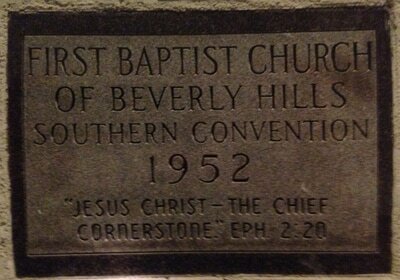 ​The First Baptist Church of Beverly Hills building was officially designated an Historic Site in 1993 by the City of West Hollywood. 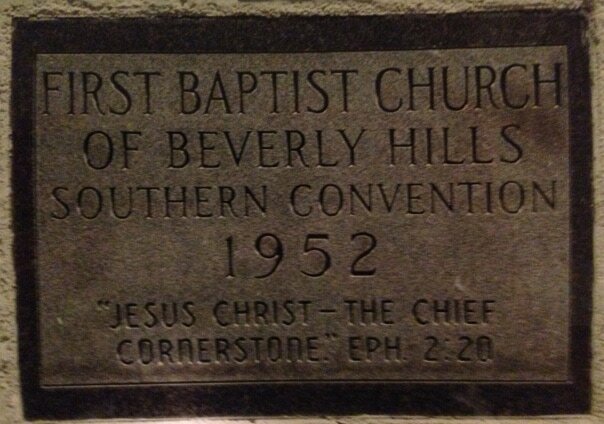 The First Baptist Church of Beverly Hills ​was established in February 1952 under the leadership of Marshall DeVaugh. 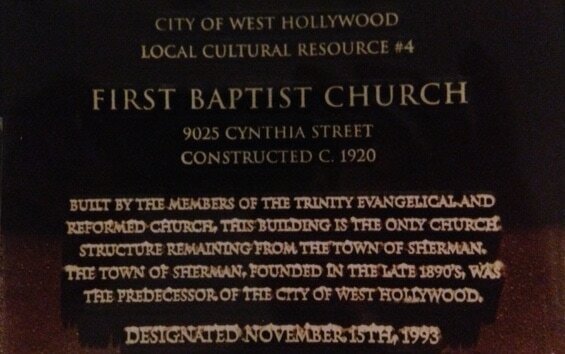 Services began in a real estate office on Canon Drive in Beverly Hills before moving to a Legionnaires Hall, and finally setting on an old church building in the city of Sherman, now known as West Hollywood. The building was purchased and dedicated in November, 1953. Money was tight and, although Pastor DeVaugh had worked tirelessly to procure funds for the purchase to clear escrow, the due date was upon him. Despondent, he sat in the sanctuary and prayed, "Lord, I've done all I can do. It's up to You if you want this church." With that, he drifted to sleep. The telephone woke him. It was Dr. Posey with the Southern Baptist General Convention of California. He said, "Marshall. I have $5,000 for you if you can use it." This was the exact amount the church needed to close escrow. Pastor DeVaugh drove to Fresno and picked up the check. .
God provided in a miraculous way! 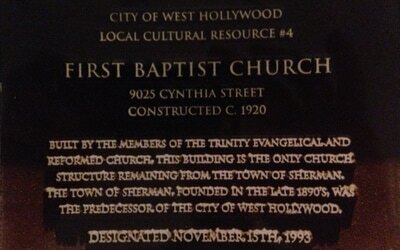 This ministry began with a vision for service by Pastor Tom Stringfellow of First Baptist Church of Beverly Hills. Feeding the migrant workers in central California. "The church has been honored on several occasions for its involvement in missions. Two major projects in South-East Arkansas in the 1998-99 years. 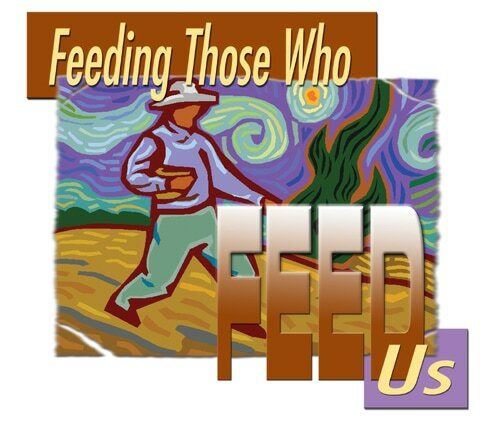 In 2002 the church began a project called Feeding 'Those Who Feed Us'. This project provides assistance to Calif. Migrant Farm-workers who are considered to be those of the poorest people in America according to a resent government study. Ths project provides new clothing, school supplies, and shoes for the children of these workers At each location a Vacation Bible School and worship opportunity in over 30 locations. During its 15 year history over 18,000 decisions for Christ have been recorded. More than 100 Baptist churches partner in making this project a continued missions effort. " Feeding Those Who Feed Us began as a small outreach of First Baptist Church of Beverly Hills, but quickly grew beyond our wildest dreams. In order to more effectively manage this much needed outreach and to include as many churches as possible, it was decided this ministry would be best served begin administered by The California Southern Baptist Convention.